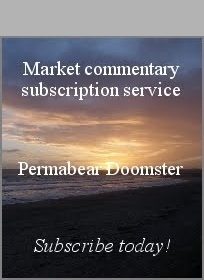 US equity indexes closed broadly higher, sp +13pts at 2307. 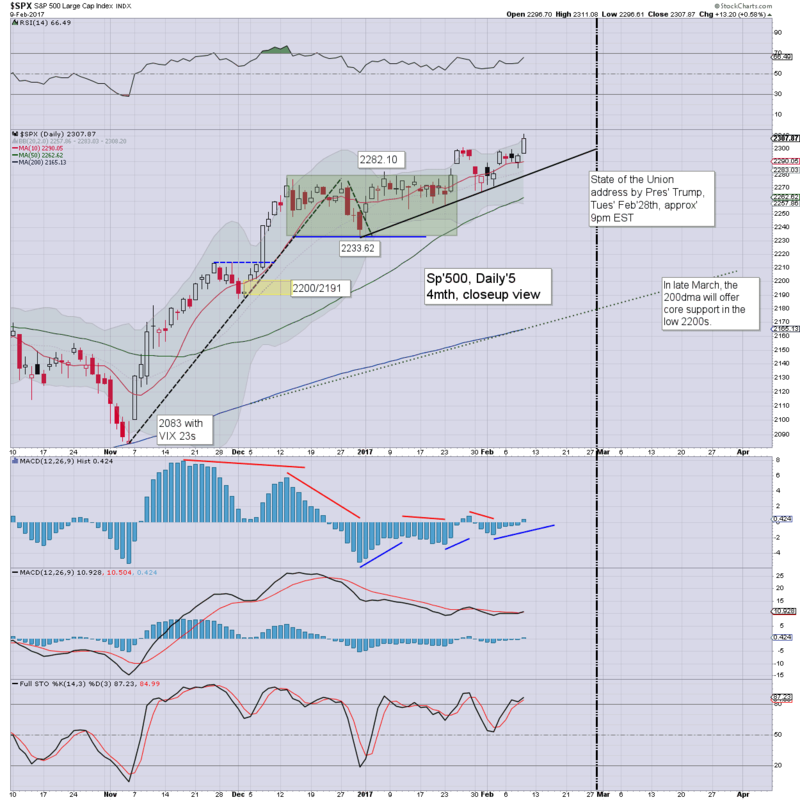 The two leaders - Trans/R2K, settled higher by 0.9% and 1.4% respectively. 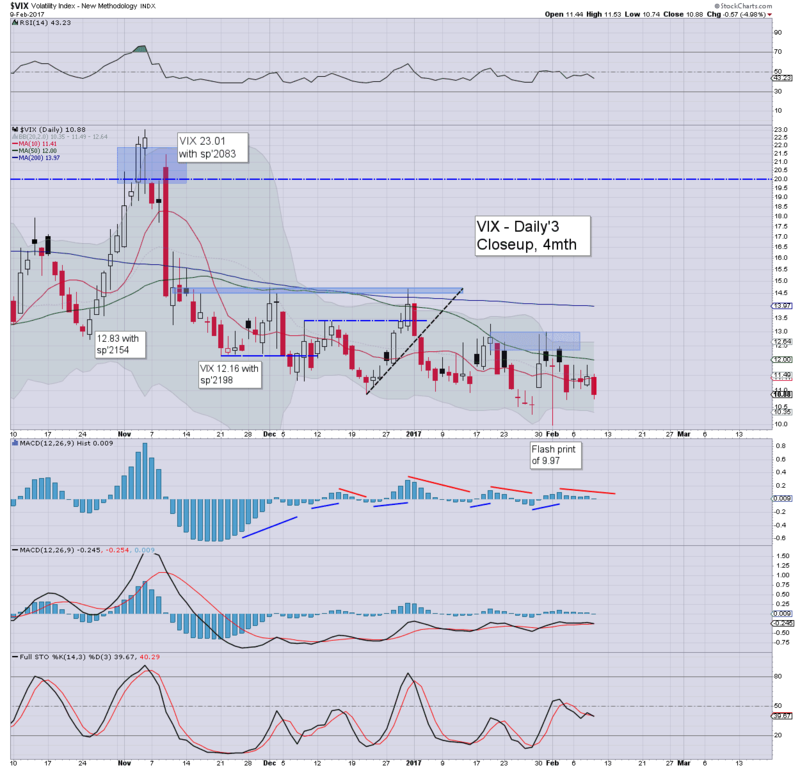 VIX settled -5.0% at 10.88. Near term outlook offers a weekly close in the 2305/15 zone, with the 2340/50 zone viable in early March. 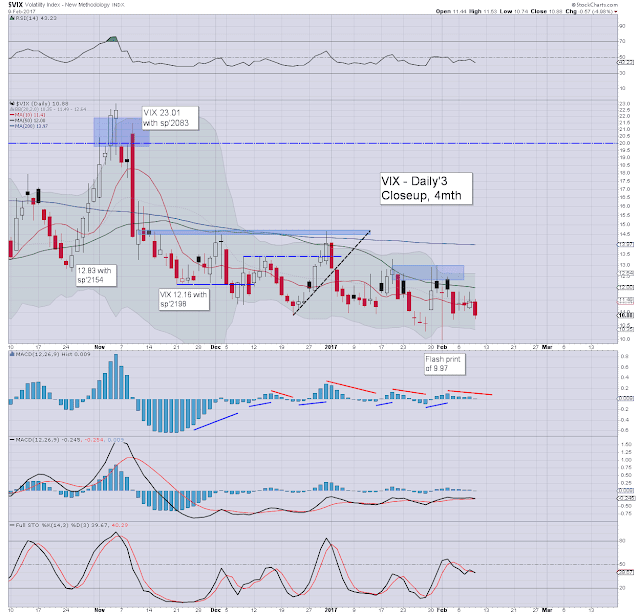 VIX is naturally subdued, and a weekly close in the 9s is now viable.